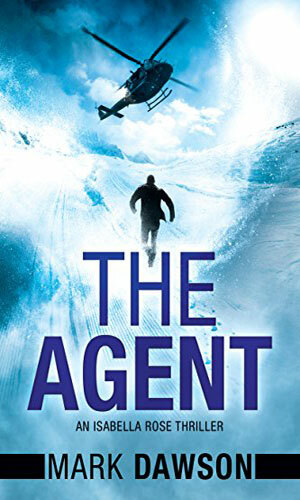 Isabella Rose is an agent with Group Fifteen. Well, she is an unofficial one because a highly covert department in British Intelligence, responsible for eliminating with extreme prejudice enemies of the country, could not be known to employ a 15-year old girl. It should not be known to employ anyone, of course, since it did not exist on the books but had it been publicly talked about it most definitely would not want people to say it used young girls to spy and possibly kill for it. Not that Isabella would have worried about such things. By no means psychotic or blood-thirsty, Isabella nonetheless is well used to the life of a Group Fifteen agent. She learned how to survive and how to stop others from doing the same starting when she was 11 and her absent mother reentered her life. She learned when it became apparent that the very people who had killed her father and stolen her from her mother when she was only 3 would do anything they could to killing the two of them now that they were back together. 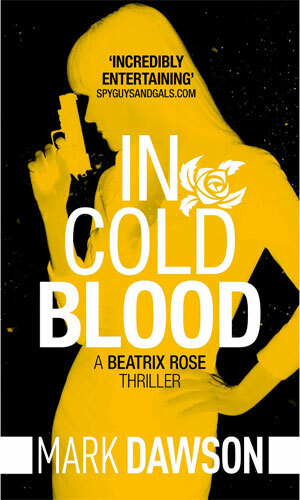 Luckily for her continued existence, her mother, Beatrix Rose, had once been one of Britain's deadliest assassins and knew ways to stay alive and to kill others that few would have imagined. When the younger Rose was barely out of infancy, her mother had learned on a mission facts that her crooked boss had not wanted known. He decided the chance she might reveal something was too great so he ordered several of his subordinates, those who would kill without ever asking questions if the price was high enough, to visit the mother at home. It was there that the agents shot her father in the head, severely wounded her mother and would have been killed herself had not a truce been hastily reached. In exchange for her daughter's life, the elder Rose would disappear. "Control", as the leader of Group Fifteen was known, secreted her away in a "series of foster homes and institutions" until another former agent with his own grudge, John Milton, stepped in and returned her to her grandparents and later to her mother. The foster years were less than pleasant for the young Rose and not something she enjoyed remembering or discussing. Once she was reunited with her mother, one sad fact was inescapable - Control and those who had carried out the attack on the Rose family would not rest until Isabella and Beatrix were dead. So while there were many instances of getting to know each other, there were even more sessions of training to get the younger Rose equipped with the skills needed to survive the upcoming war. Hand-to-hand combat, multiple languages, marksmanship, street smarts - these were all various skillsets that her mother trained her in during the brief couple of years they had together while the elder hunted Control and his former minions. Rose's mother, wracked with pain from rapidly spreading cancer, tried in the end to destroy her former boss but came up short. Isabella Rose stepped in to finish the job. Some time later, the new Control, a man far less evil than the previous leader and a man who helped the Rose's when they needed a friend, needed someone young with a particular ability at survival to take down a very nasty group. He thought of Isabella Rose. She said yes. The first three books concerning Isabella Rose are the main stories about her mother, Beatrix Rose, and her return to the West to take up her life with Isabella and to destroy Control to keep the young girl safe. She is in each story but her roles are ancillary to the main plots, except at the end of the third book. 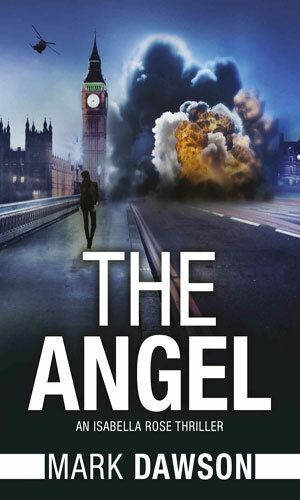 Isabella comes fully into her own starring role with the adventure The Angel. 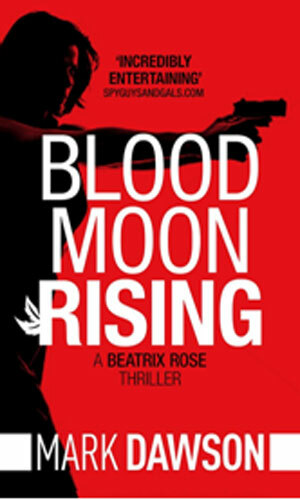 One of the people Beatrix Rose is determined to get revenge on is being held prisoner with others by Somali pirates. Rose is given a chance to get at him but it means helping rescue all the hostages to get a shot at one who will want to shoot back. 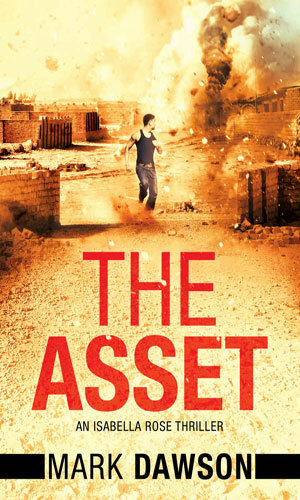 Beatrix Rose is out to eliminate two of those on her list but one of them is part of a small mercenary army in Basrah, Iraq. Group Fifteen will help her but they want a prisoner freed from that army as a price. With the list of those she must destroy getting shorter, Beatrix Rose heads out to find and kill the last two but they are not waiting for her to come to them and she finds herself the hunted. When terrorists destroy a subway car in London, Group Fifteen leader Michael Pope knows it is just the beginning. He needs a special agent to infiltrate the home of the group leader and he chooses young Isabella Rose to become friends with the leader's son. Having been abducted at the end of the previous adventure, Isabella Rose finds her life getting more complicated when her kidnappers are themselves snatched by agents of ISIS. "Isabella Rose is on the run, hunted by the very people she had been hired to work for. 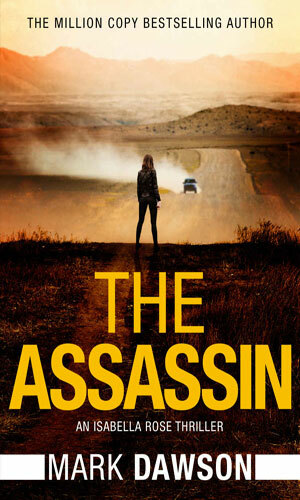 Trained killer Isabella and former handler Michael Pope are forced into hiding in India and, when a mysterious informer passes them clues on the whereabouts of Pope’s family, the prey see an opportunity to become the predators." Ciudad Juárez, Mexico is where Isabella Rose is and where she is likely to stay for a while because the prison bars she is behind are not letting her go. But the local police and the cartels are just the beginning of her troubles. I was, and strongly remain, a huge, huge fan of John Milton and cannot see that ever changing. Each book is grabbed (digitally) by me and devoured. I continually am impressed at how many different scenarios he can get thrown into and survive in realistic and compelling ways. 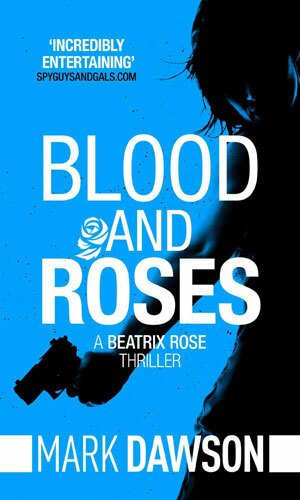 Then came the Beatrix Rose series and though I secretly hoped there might be some way for her to miraculously survive, I knew like she knew that it was not going to happen. But the ending was tremendously inticing and I ended the series with great satisfaction. And then came the Isabella Rose continuation series and I thought the first book was just as good as those of her mother. Until the end of the book. Which did not end! I mean, there was suddenly just no more pages. Boy, did I growl!!!! That is a big demerit. Of course, some time later (not darn fast enough, thank you very much!) the second book in the series came out. From then on things be ok. And for people coming to the series now that the second book is available, just think of the two as one adventure split into two halves. I read in the author's newsletter that he took a bit of grief about the first book's lack of closure. He didn't hear it from me, though, unless my growling could be heard across the Atlantic (it was loud, I'll grant you). He felt a fair amount of opprobrium. Good!! Now all is forgiven. I believe he will not repeat that mistake and the second book really is as good as the first which means it is well worth reading. As is everything else the author has given me.